Send your loved one a floral gift sure to brighten even the darkest of days. Hand-arranged yellow alstroemeria and roses beautifully combine with iris and lush greens. 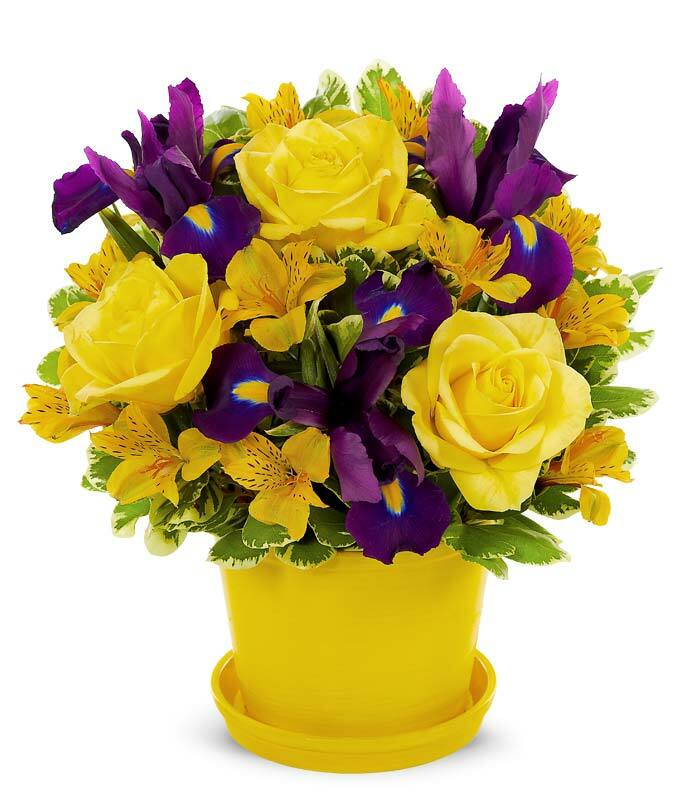 Delivered in a yellow pot, the Bushel Full of Sunshine bouquet is sure to delight your recipient..